A mindset change will be a key challenge for channel partners in 2019, as technological disruption heats up and market competition increases. That's according to Bijjala Radhakrishna, CEO of Total eBiz Solutions, a Singapore-based service provider undergoing rapid transformation across the region. For Radhakrishna, when speaking exclusively to Channel Asia, talent development will also be a key priority for partners during the next 12 months, billed as an ongoing channel challenge as development time continues to shorten. “Cloud giants like Amazon Web Services, Google Cloud and Microsoft are releasing a myriad of technology services,” said Radhakrishna. “Point specific vendors are also providing robotic process automatio, intelligent automation, digital experience platforms and voice enabled interface products." Radhakrishna elaborated his view that customers are seeking end-to-end solutions as a means to deliver across sensors, devices, social media, with technologies such as artificial intelligence being leveraged to make predictions. This, said Radhakrishna, is the key challenge. As for the vendor’s role in supporting channel partners, Radhakrishna sees them playing a more significant role when it comes to training as their development cycle continues to shorten and more complex solutions come onto the market. Inevitably, as another channel partner affirmed, trust is an important ingredient to a successful vendor-partner relationship, and as new technologies come onto the market, vendors will need to provide the support and tools to channel partners for successful delivery and execution. 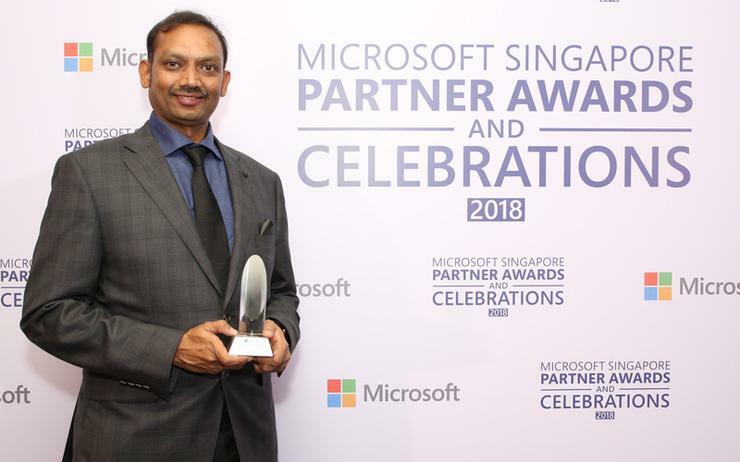 For Total eBiz Solutions - a recent Microsoft Singapore partner of the year winner - AI, machine learning (ML) and bots/intelligent automation as well as cloud native services are significant growth areas, and points of focus as 2019 kicks into gear. The second priority for the provider is how such technologies are delivered to the customer, revealed Radhakrishna. “We want to deliver these technologies at rapid speed, which means using powerful cloud native technologies, micro services, continuous integration and continuous delivery, and DevOps in Agile fashion,” he added. “We believe that these two aspects will be key to our success in 2019." Radhakrishna sees certain key attributes in successful partners, namely, speed to deliver, partnership with principles, greater understanding of the customer, technology expertise/innovation, and most importantly, a guiding customer capability roadmap by adopting cloud native technologies. Radhakrishna believes Total eBiz Solutions’ value proposition is to go along on the journey with the customer and deliver their products/services at greater speed using cloud native technologies. Most importantly, said Radhakrishna, was to create a clear differentiation in the market they operate in. “Gone are the days, where customers had to wait nine to 12 months and spend large sums. These days, technology is cheaper and faster to implement, giving greater advantage to customers to try."